HMD has just launched a new midrange smartphone called the Nokia X6. This is the first Nokia smartphone to feature the display notch and it's only available in the Chinese market at the moment. 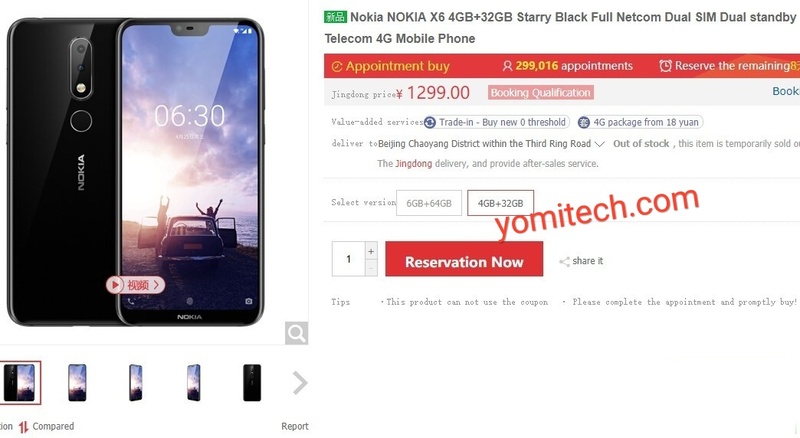 The first flash sale of the Nokia X6 took place recently and the phone was sold out in just 10 seconds, although HMD' didn't release the number of smartphones that was made available for the flash sale. 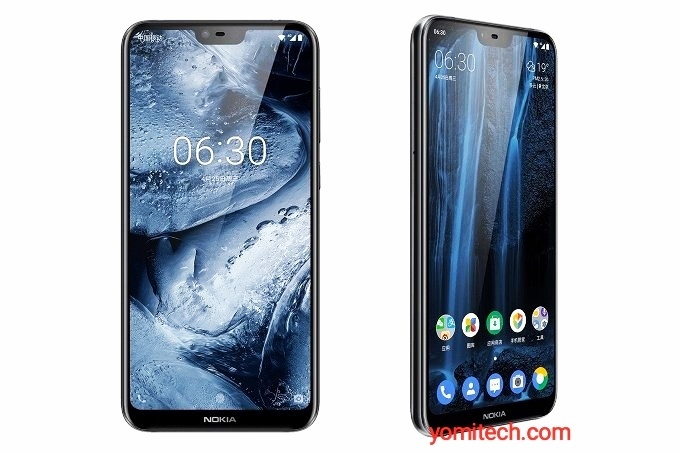 The Nokia X6 also generated over 700,000 registrations for all versions of the phone from two Chinese e-commerce firms, JT.com and Suning. The Nokia X6 is a midrange smartphone powered by Qualcomm Snapdragon 636 chipset with an Octa-core processor which is clocked at 1.8GHz. The device sports a 5.8 - inch FHD+ display with a resolution of 1080 X 2280 pixels. It also has a dual rear camera setup with 12MP + 5MP, as well as a 16MP front facing camera. The cheapest version of the Nokia X6 which comes with 4GB of RAM and 32GB of internal storage goes for 1299 yuan ($203 USD), while the 4GB RAM with 64GB internal storage version cost 1499 yuan (235 USD) and the highest version with 6GB RAM and 64GB internal storage cost 1699 yuan (266 USD). Although the Nokia X6 is currently a china exclusive smartphone, HMD might consider selling the phone globally, going by the poll posted by the CEO on twitter a few days ago.